The best part of Kiso area is rich nature and historical atmosphere of the streetscape. Surrounded by nature, have a healing journey at a hotel. One of the 100 Famous Japanese Mountains, Kiso Komagatake can be seen from all guest rooms. (spacious Japanese-style room, room with kotatsu, western bedroom) Come and relax in the nature of Shinshu (Nagano). Located at the base of Mt. 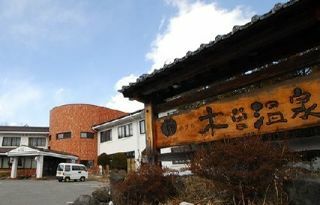 Ontake, it is receiving good reputations for its mountain/river blessed dishes and the natural hot spring. Easy access to Kaida Kogen (highland) and Ontake Ropeway. Both Japanese-style room and Western bedroom is available. Great view of Mt. Ontake (3,067m) and Kiso Komagatake (2,956). Located right next to the golf course, it is often used as a base for golfing and sight seeing.